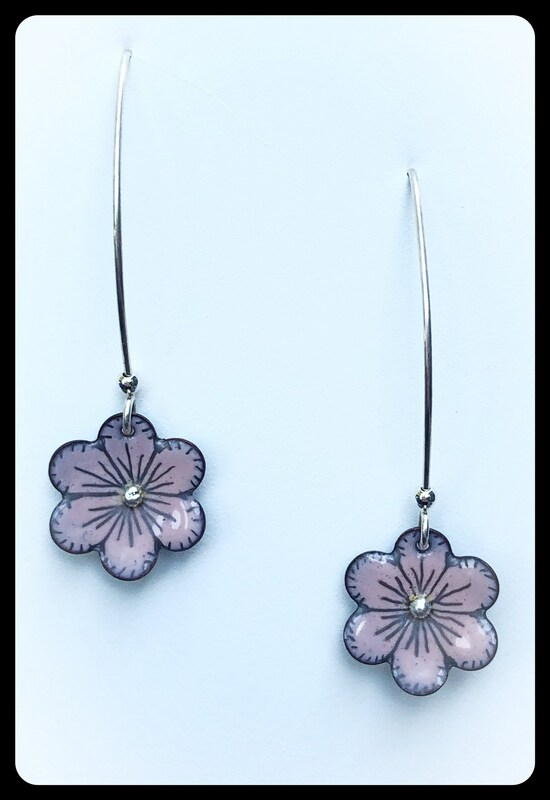 These little cupped flowers are just blooming with sweetness in their petal pink enamel. The center points of these little posies are fine silver casting grain and the decorations are hand drawn and then fired into the surface. The overall length of these earrings is 2 inches and the little poise is 5/8 of an inch across. Very lightweight. The sterling silver ear wires are hand made and are extremely comfortable.